Durable materials including BPA free PP casing, nylon strap and non-rust zinc alloy are non-toxic, no smell. 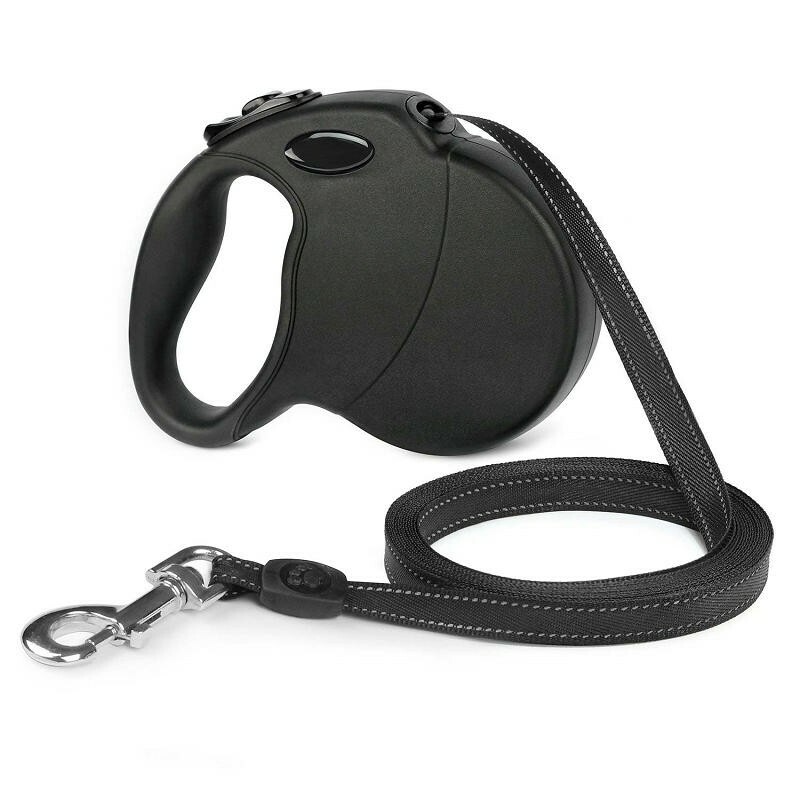 That can always help you stay in control and direct your pets easily even big dog pulling and running. "Let dog to be dog" inspired us a lot to develop a free angle design for our beloved pets. All of our designs can let dog move smoothly without limited exploration, which makes training easy and dog can roam freely. Gel-cushioned handle makes walking the most comfortable experience ever. Our slim design is portable for daily use. Pick one to make walking better! -Keep best dog leash for pulling away from fire and kids under 3 years old. -Mavric, a professional pet products manufacturer, offers all kinds of reflective dog leashes and collars. 1 year warranty is offered by us. If you have any question about pets or products, please feel free to contact with us. Obedience training is important for pet as well, which can make a pet more popular and won't bring much trouble for you. Actually, the goal of training is not to making your pet to be popular, training is a way to build the communication between you and your dog, to let your dog follow your instruction. Sit is the first thing you need to teach, because that is the easiest one. That is also a good command to help you to control your dog whenever you want, which we all think it is very useful. Stay is very useful as well, which teaches your dog to calm down and stay in one place. Heel is a good command in walking. That teaches your dog to walk close to you with or without a leash, which can make the walking much easier and your dog is easy to direct. As you can see, even basic manners can make your dog understand your language and make your life much easy, you can enjoy more fun with your pets. Love it! My dog is only 5lbs and it doesn't weigh him down but gives him a little room to walk ahead of me. Good size! Not too big, perfect size. Also liked that it's not just a string like a lot of the retractable leashes are, it's a full like ribbon shaped rope.